Why do you garden? For fun? Work? Food? The reasons to garden are as unique as the gardener. 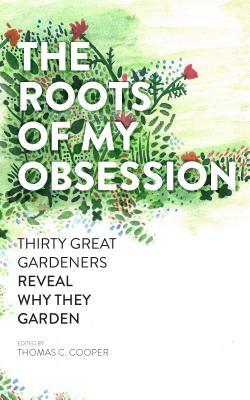 The Roots of My Obsession features thirty essays from the most vital voices in gardening, exploring the myriad motives and impulses that cause a person to become a gardener. For some, it’s the quest to achieve a personal vision of ultimate beauty; for others, it’s a mission to heal the earth, or to grow a perfect peach. The essays are as distinct as their authors, and yet each one is direct, engaging, and from the heart. As you read, you may find yourself nodding your head in agreement, or gasping in disbelief. What you’re sure to encounter is some of the best writing about the gardener’s soul ever to appear. For anyone who cherishes the miracle of bringing forth life from the soil, The Roots of My Obsession is essential inspiration. Thomas C. Cooper is senior editor at Boston College Magazine. He is also the former editor of Horticulture magazine and The Gardener. He has written for the New York Times and the Atlantic and is the author of Odds Lots. He lives in Watertown, Massachusetts.